Doors and entryways are subject to some of the hardest beatings from weather and use. And yet the door and access to it is the first sign of welcome to family and friends, not to mention potential buyers. 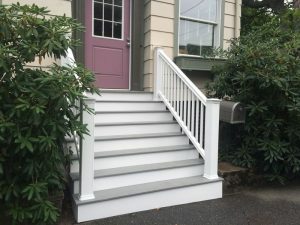 For the owner of this home in Swampscott, the WORKS team took care of wood rot around the door, missing railings, weather-worn steps, and missing or broken lattice. 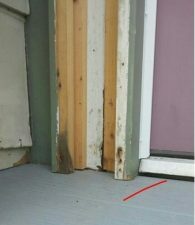 We made the repairs, sanded and painted, improved the flashing, and brought back the warmth and beauty of the entry.